Press release from ATRA strategic partner Collegiate Running Association (CRA). This announcement was originally posted on the Collegiate Running website. Become a free member of the Collegiate Running Association by clicking here. Patrick Smyth (Santa Fe, NM / University of Wisconsin-Madison) and Corey Dowe (Barrington, NH / University of New England) have been named the 2017 Collegiate Running Association Athletes of the Year. 2014 & 2015 Collegiate Mountain Running Champion Patrick Smyth returned to the classroom to pursue a second master’s degree in 2017, yet still managed to claim the 2017 Collegiate Mountain Running Championship title. Smyth also placed second in the U.S. Championship held concurrently within the Cranmore Mountain Race in (Conway, NH). With personal bests of 13:39 (5K), 28:25.85 (10K), 62:01 (Half-Marathon) and 2:15 (Marathon), and the ability to cruise on the rugged terrain faced in mountain and trail running, it is easy to see why Patrick Smyth has claimed three out of four Collegiate Mountain Running National Championship titles (2014, 2015 & 2017) in addition to being a 3-time Xterra Trail Run World Champion (2013, 2014 & 2015). Patrick at the 2014 World Mountain Running Championships in Italy. Smyth has shown a remarkable ability to balance competition at the world level with outstanding academic success. After completing his Bachelor of Art (B.A.) in History at Notre Dame in 2009, where he earned All-America honors 7 times, Smyth quickly became an international force on the mountain and trail running scene. Smyth completed his Master of Science (M.S.) in Environmental Studies from the University of Utah in 2015, and is now pursuing a another M.S. in Geographic Information Systems / Computer Science from the University of Wisconsin-Madison while working a fulltime job in Santa Fe, New Mexico. Smyth’s 2017 was highlighted with his 1st-place finish in the Collegiate Mountain Running National Championship and 2nd-place finish in the USATF Mountain Running Championships, where he finished only behind 2015 CRA Athlete of the Year and 2016 World Mountain Running Champion, Joe Gray. 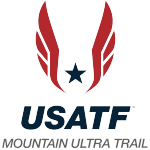 With his finish, Smyth also earned an automatic berth to represent the US Mountain Running Team at the World Mountain Running Championships in Premana, Italy, where he placed 10th individually and helped the U.S. team to the Bronze Medal. Patrick after finishing the 2017 USATF Mountain Running Championships. Dowe, who runs for Runner’s Alley Elite Racing Team, won the 2017 Collegiate Mountain Running National Championship in North Conway, NH, and placed 6th in the U.S. Championship held concurrently within the Cranmore Mountain Race. A household name on the running scene in New Hampshire, Dowe was named the 2017 New Hampshire Women’s Runner of the Year by Foster’s Daily Democrat and was the Seacoast Racing Series Female Winner. Dowe earned a B.S. in Nutritional Sciences from Cornell University in 2015 and a Master’s in Public Health from the University of New England in December 2017, and plans to have a career in promoting healthy lifestyles. In giving back, Dowe has already shared her passion and knowledge with local high school and middle school aged runners, and promoted her passion for personal health while substitute teaching. Along with the full-time pursuit of her Master’s degree, Dowe has assisted the Coe-Brown Northwood Academy (Northwood, NH) cross country and track & field teams since 2016. This past fall, Dowe was also an intern at Strafford County Public Health Network (Somersworth, NH), and served as chaperone for Coe-Brown Northwood Academy’s Cross Country Camp last July (Bar Harbor, ME). “I think that it is important to engage individuals at a young age in enjoying healthy activities and foods and look forward to such a rewarding and enjoyable career field,” said Dowe. 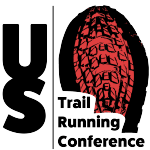 The Collegiate Running Association (CRA) is a 501c3 non-profit organization founded November, 2013 with a mission to promote healthy lifestyles among college students by providing and expanding opportunities in the sport of running. 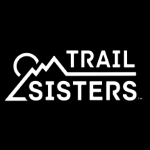 The vision of the CRA is to offer national championship events in road, mountain, and trail running with prize money specifically reserved for college students enrolled in at least one class. Since 2014, the CRA has awarded over $80,000 in prize money specifically to college students in road, mountain and trail running events. Membership is open to the public (click here).